There have been a wealth of amazing stories told via world cinema movies this year. If ever there was a time to face your fear of subtitles this is it. Here are my top five favourites from 2017. Winfried (Peter Simonischek) doesn’t see much of his working daughter Ines (Sandra Hüller). Concerned that she is leading a joyless, corporate life he travels to Bucharest, where she’s working as a consultant, to pay her a surprise visit. However, his spontaneous decision doesn’t help their relationship. Winfried is a practical joker and annoys his daughter with silly pranks and jokes about her lifestyle. Reaching an impasse, Winfried agrees to go home to Germany. Enter Toni Erdmann - Winfried’s flashy alter ego. Disguised in a cheap suit, crazy wig and fake teeth, Toni barrels into Ines’ professional life, claiming to be her CEO’s life coach. As Toni, Winfried doesn’t hold back and Ines soon begins to meet the challenge - the harder they push, the closer they become. Exploring the state of Europe and its troubling class divide, Toni Erdmann satirises corporate life and highlights the challenges facing women in the workplace. However, at the film’s heart lies a surprisingly melancholic and poignant tale of a father hiding behind humour and a daughter whose stubborn seriousness is holding her back. When nine-year-old Shula turns up alone and unannounced in a rural Zambian village, the locals are suspicious. A minor incident escalates to a full-blown witch trial, where she is found guilty and sentenced to life in a state-run witch camp. I am not a Witch is a remarkable feature debut from Rungano Nyoni. It feels like the work of a much more experienced filmmaker. Every scene is meticulously created - from the often stunning (almost mystical) visuals to the impressive and authentic soundscape. 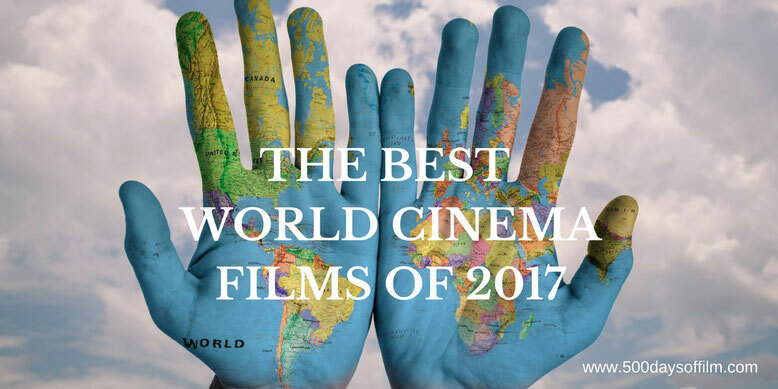 What Is Your Favourite 2017 World Cinema Film? What do you think of my top five favourite world cinema films? What would you add? My honourable mentions would include Elle, A Man Called Ove and On Body And Soul. The Salesman, A Taxi Driver, The Other Side Of Hope, Frantz and The Olive Tree. Particular mention for Blade Of The Immortal which may not please a lot of people as it's very violent. Agree that UK audiences have a fear of subtitles. Shame really as there is a lot more to cinema than Hollywood.